Our oral and maxillofacial surgery team is pediatric-trained to provide specialized care for children and teens with conditions that affect the mouth, jaw and facial structures. 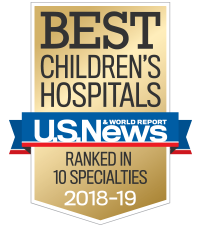 Whether it is emergency surgery or a planned procedure, children need surgeons devoted to caring for kids and families. Our pediatric maxillofacial surgeons know growing bodies and have advanced training in surgery to treat a wide range of conditions on children from newborns to teens. Whatever your child’s needs, we will work together and with other specialists to provide safe, comprehensive surgical care. When your child is scheduled for surgery, you need to fill out a pre-anesthesia history form with health questions about your child. You can fill out this form in advance at home and save time. Call 404-785-KIDS (5437) to learn more.